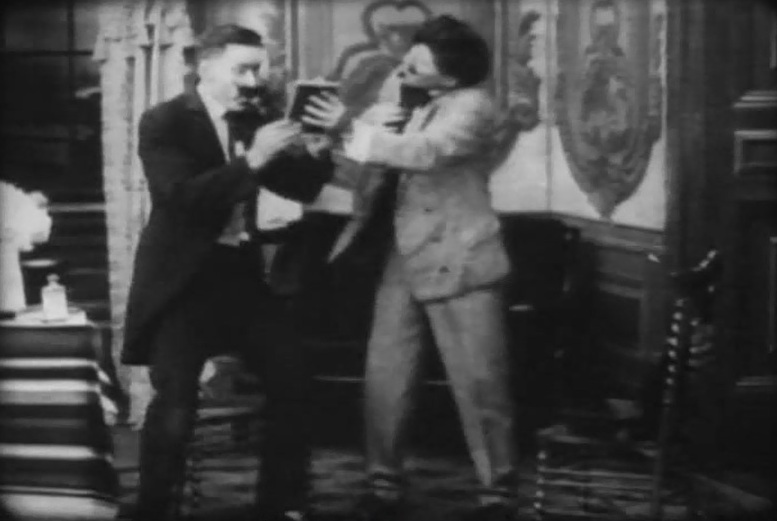 "Father Gets in the Game" is a short comedy directed by D.W. Griffith. The film is included in our program to illustrate the work of two of our stars: actress Florence Lawrence and cinematographer Billy Bitzer. 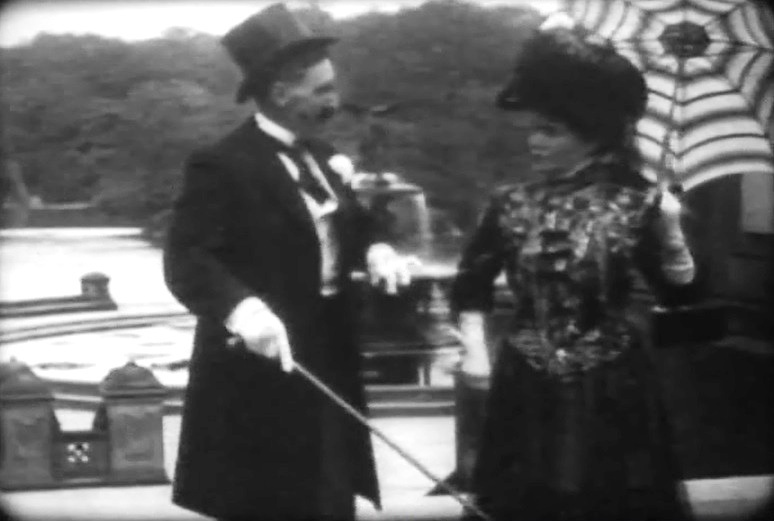 Mack Sennett gets a snub from his wife when he wants to go out in "Father Gets in the Game" (1908), directed by D. W. Griffith, cinematographer Billy Bitzer. 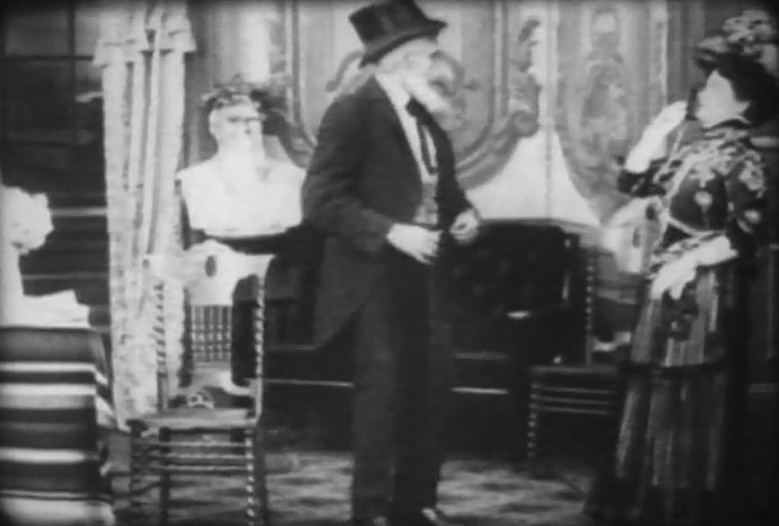 Mack Sennett gets a snub from his daughter when he wants to go out in "Father Gets in the Game" (1908), directed by D. W. Griffith, cinematographer Billy Bitzer. 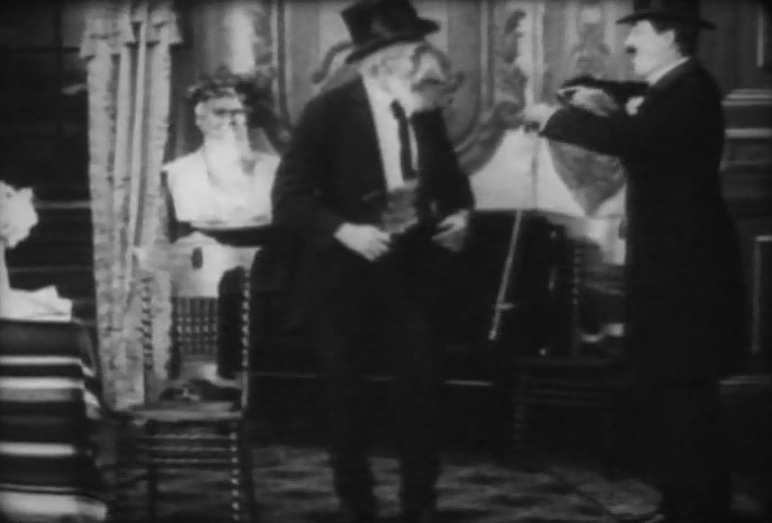 Mack Sennett gets a snub from his son when he wants to go out in "Father Gets in the Game" (1908), directed by D. W. Griffith, cinematographer Billy Bitzer. Mack Sennett gets a make-over in "Father Gets in the Game" (1908), directed by D. W. Griffith, cinematographer Billy Bitzer. Mack Sennett is not recognized by his wife in "Father Gets in the Game" (1908), directed by D. W. Griffith, cinematographer Billy Bitzer. 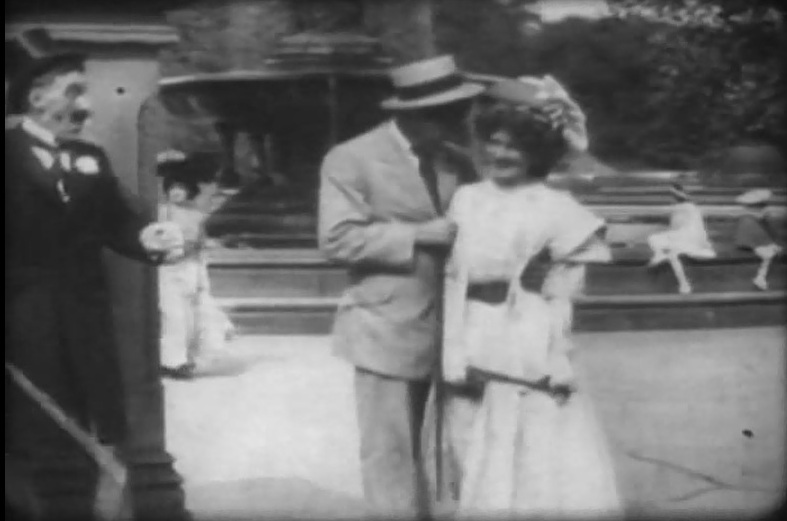 Mack Sennett looks on as Florence Lawrence walks by with a suitor in "Father Gets in the Game" (1908), directed by D. W. Griffith, cinematographer Billy Bitzer. 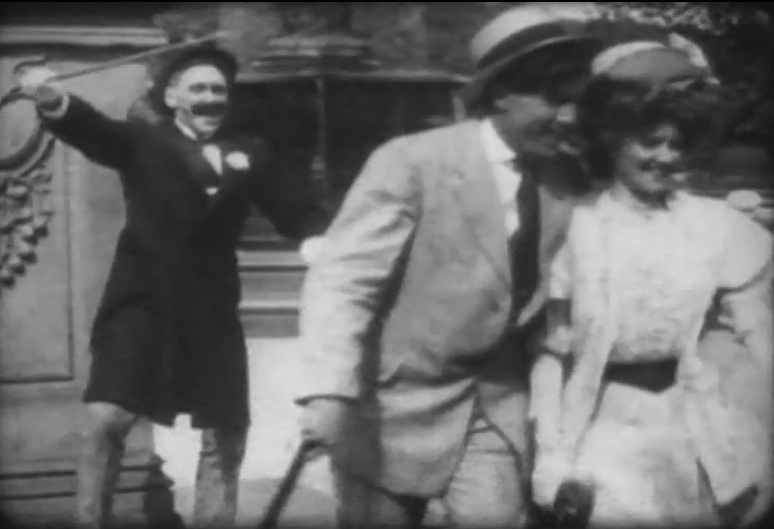 Mack Sennett gesticulates as George Gebhardt and Florence Lawrence walk by in "Father Gets in the Game" (1908), directed by D. W. Griffith, cinematographer Billy Bitzer.